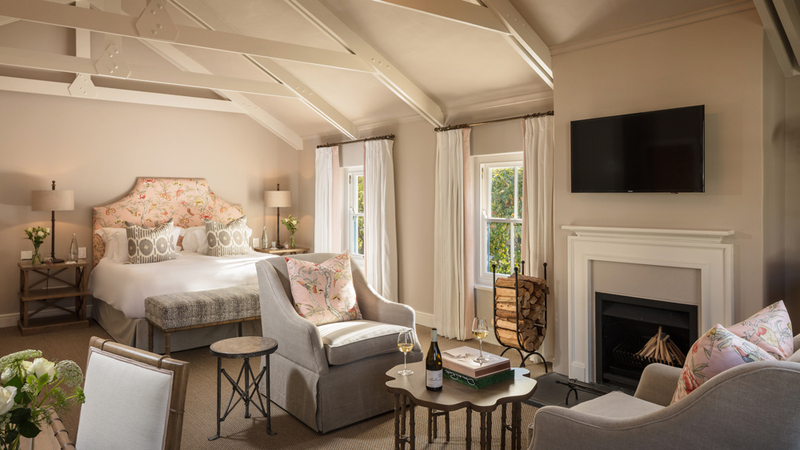 When it comes to South Africa’s wine country, you’d be hard-pressed to find a hideaway more beloved than Le Quartier Français. 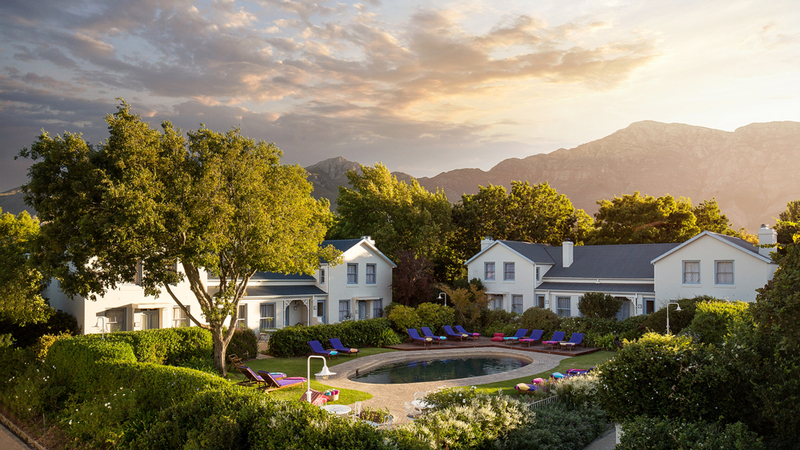 The boutique hotel in Franschhoek has long been a favorite of both well-heeled locals and those visiting from all corners of the globe, thanks to its small, breezy collection of rooms, storybook gardens, and easy access to some of the region’s top wineries. Over the past decade, the property has undergone a subtle transformation under the careful eye of the Leeu Collection (which owns two other properties in the region, along with Linthwaite House in the English countryside), and now it has unveiled the final phase of a careful, 18-month-long renovation. The refurbishment is a measured one though; the property’s tranquil aesthetic—think creamy white walls accented with pops of blue and delicate chinoiserie-printed silks—remains untouched; and though five new rooms have been added to the collection, the property remains decidedly intimate, with just 32 total keys. Of those new rooms, we’d suggest settling into the two villas. Both clock in over 5,000 square feet, boast separate private entrances and garages, and come complete with perks like private pools and full kitchens, making them ideal for bigger groups or families looking to call the property home base for extended stays in the Cape Winelands (which, given the multitude of wineries and charming villages to explore, we think you’re going to want to do). Though tucked away from the rest of the hotel, the villas still offer easy access to everything that Le Quartier Français is known for. The main house is accessible via an easy stroll through the manicured gardens, but detours on your way there are highly encouraged, as there are plenty of playful sculptures and quiet nooks to discover. Once you do finally make it there, you’ll find the oasis-like spa (post–wine tasting treatments come highly recommended) along with two restaurants helmed by the award-winning La Colombe team. 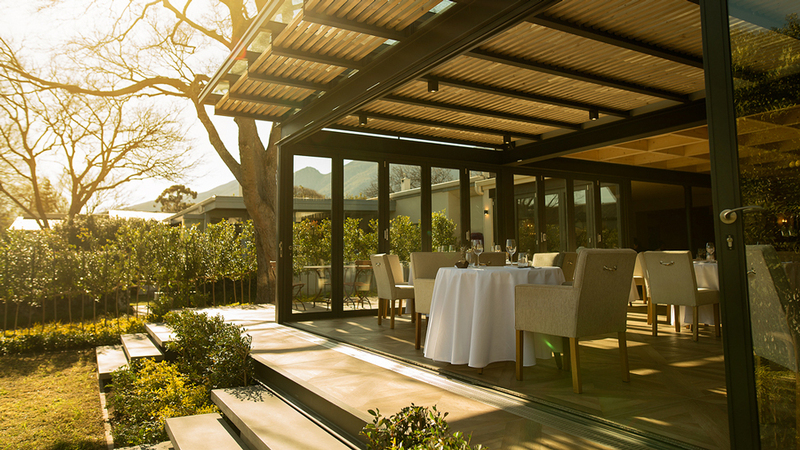 La Petit Colombe, which debuted in 2017 as part of the first phase of the transformation, is one of the standout restaurants in the region, earning a spot as the fifth-best restaurant in South Africa for its locally and seasonally rooted tasting menu and all-star wine list. 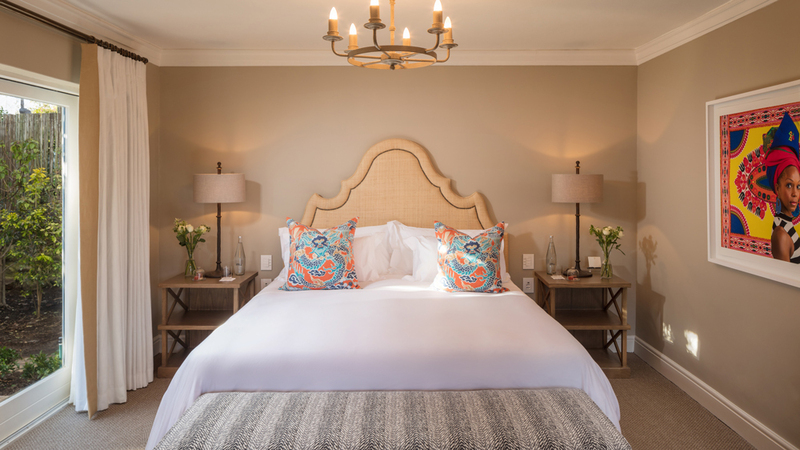 When you’re not in the mood for an all-out fine-dining experience, you can hop over to Protégé, a new all-day casual restaurant located on the property, or head to Marigold, Franschhoek’s first authentic Indian restaurant, or to the nearby Leeu Estates for South African cuisine at the Dining Room. If you eventually need a break from all that wine, you can end your days spent wandering the village’s quaint downtown district—which is teaming with expertly curated boutiques and galleries—with a stop at local favorite Tuk Tuk, a craft beer microbrewery. Though with a region this lush to dive into, it’s doubtful that you’re going to want to come up for air.